Yvonne will feature in this Friday’s episode of Eastenders. The BBC 1 show will break from its traditional format for this special episode which is based around Shakil Kazemi’s funeral. 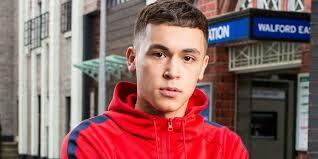 Shakil’s character was killed last month in harrowing scenes of knife violence. This episode features the families of real knife crime victims including Yvonne who will share their own experience of knife crime alongside its regular fictional characters. Those wanting to learn more about the people featured, including Yvonne, will be able to watch short films about them on BBC Three, and read blogs about their experiences on the BBC’s website and social platforms as well. The episode will start slightly later than usual – it’ll run from 9:15pm until 9:45pm. Please tune in!